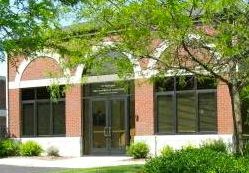 A multi-chamber networking event is set for 7:30-9 a.m. Friday, March 20, at the Heart of Howell Business Complex at 120 W. Grand River Ave. in downtown Howell. Join members of the Howell, Hartland and Brighton chambers of commerce at this free event, featuring coffee, light breakfast fare, door prizes and networking. RSVP to the Howell chamber at chamber@howell.org, or call (517) 546-3920.